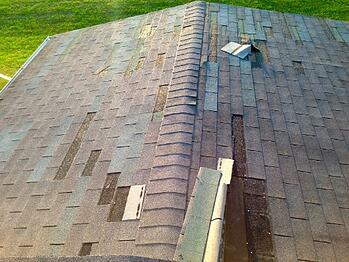 A roofs functionality is to provide you and your home with water-protection throughout all seasons! 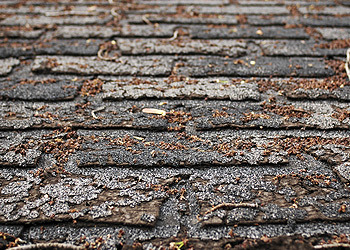 If you notice any damaged, missing, or even worn-down shingles, this functionality could be compromised and we recommend you look for shingle replacements or even a full repair depending on how much damage is apparent! Even if you have yet to notice any internal water damage, these signs indicate a higher risk of potential water damage. Look, we understand. Sometimes after years of wear-and-tear and even replacing small groups of damaged shingles, your shingle roof can look a bit mismatched and may not blend right with your home’s exterior. This situation happens! Sometimes,based on your home’s location, Algae & moss will begin growing among your shingles, gradually lifting the shingles apart and even leaving them stained! 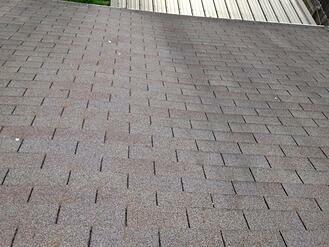 If you notice either one of these situations occurring on your rooftop, it may be time to look at shingle options based on the level of extremity! 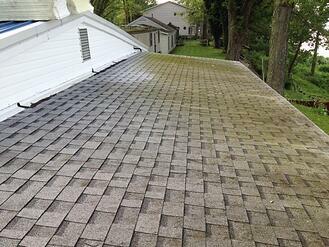 While shingle damage and mismatched appearance are two common signs when it comes to shingle roof repair, there are a few more reasons and observations that we will cover in blogs soon to come!